No stranger to Vandit, the front end of the summer has already seen an Irish lass Orla Feeney’s release with the 'Lilyhammer EP'. There it was from the instrumentalism of the 2014 rework of 'Comic Stripped' and its title track that possibly took up residence in a host of well known DJs sets and radio track lists. FFWD three months and for her second 2014 release for the label, the producer/DJ/radio presenter is changing tack with a vocal number. The girl from Kildare, has teamed up with fellow southern Irishwoman Deirdre Mclaughlin for a straight-to-the-core uplifter. 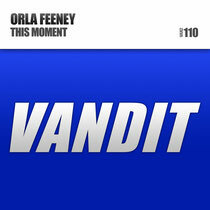 With a remix from Genix added to the mix, Vandit release Orla's new single 'This Moment'. Orla's Original Mix starts with a feisty peak-time tempo, swathes of scale-climbing synths and LFO. Reaching take-off speed well in advance of the break, Deidre Mclaughlin's vocals and equally spirited lyrics take it to another level. Orla hands off to Genix for a more trance/progressive compression of the track and the middle Englander drops the tempo, ups its mood-giving effects and cultivates a cooler vibe for those slightly earlier in the night set spins.